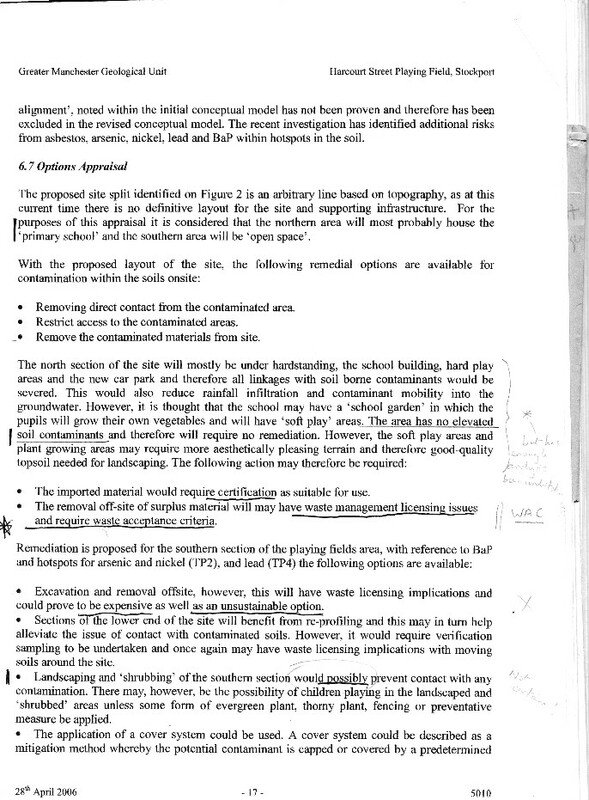 The CBR investigations are nothing to do with contamination, rather the stability of the land. 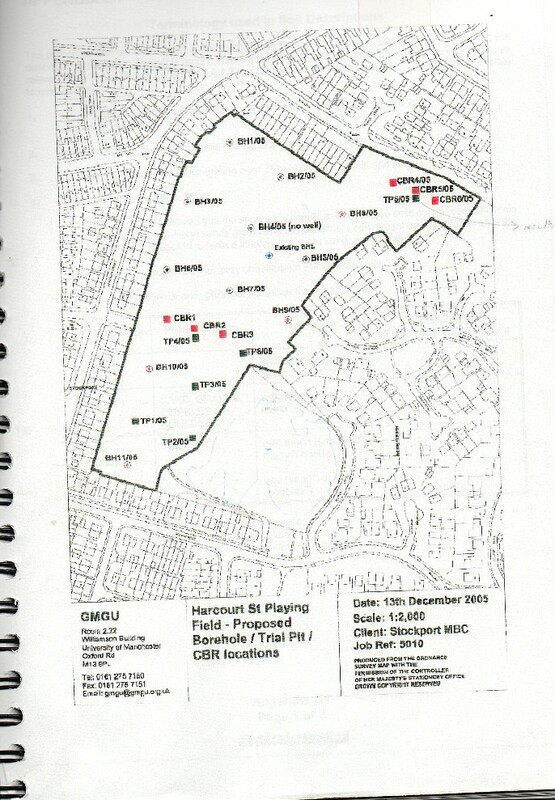 TP5/05 and TP6/05 weren't dug at all because the Council didn't own the land. TP1/2/3 and4/05 were sunk nowhere near where the school was going. When they were forced to do some paltry investigations, they dug no trial pits whatsoever where the school was going, because they knew if they had done that, then they would have found contamination. They dug four contamination trial pits at the opposite end of the site to where the school was going. 50% of these showed contamination hotspots. BS 10175 states that if any toxic hotspots are found, then the entire site should be considered to be contaminated. This is not what the dodgy LibDem Council claimed. They decided to plant prickly bushes to keep the children off the contamination.